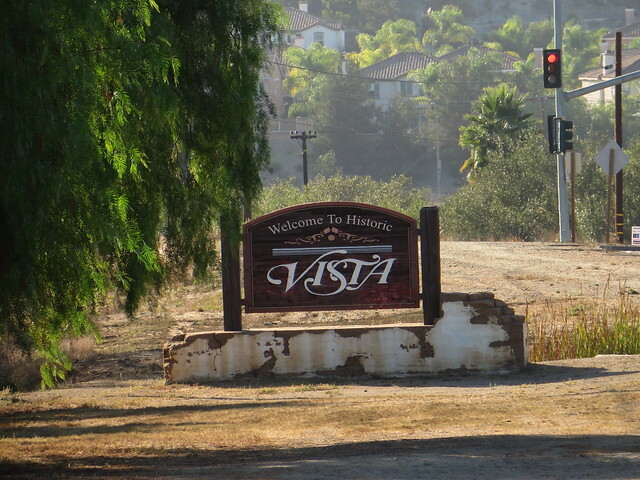 Vista is a city in northern part of San Diego County, just a couple miles away from the beach of the Pacific Ocean. And that is one of many, many reasons why this city has become a popular choice for those who wish to relocate to Southern California. And if you’re among these people, you’ll be glad to hear that moving to this city can be done quickly, without breaking the bank. The secret? Finding the right Vista moving company! And the best thing is that you’ve already found it! Our team of movers stands at your disposal to safely and swiftly deliver your cargo to your new address in Vista. What makes our company so great is that each member of our team is a well-trained professional who likes their job. With smiles on their faces, our Vista movers will help you pack your stuff and then deliver it in a fast, but safe manner to the new location. The best of all is that it really doesn’t matter what kind of cargo you want us to transport – we can handle any moving task! Residential moving service. It doesn’t matter where you’re coming from, our movers will come to your old place and help you move your stuff to your new home in Vista, CA. Commercial moving service. With a business park that’s home to more than 800 different companies, Vista is definitely a fruitful ground for company owners. And if you want to relocate your company to Vista, we’re going to help you with that. Storage service. If your new place in Vista is not yet ready for you to move in, you can keep your stuff in our facilities. We’ll keep an eye on your belongings, so you can have an absolute peace of mind. Looking for a company of local movers? You can try google-ing a phrase like “movers Vista, CA” but you probably won’t be able to find a company that’s gonna be willing to take care of your moving job right away. But, if you give us a call, we’re gonna do it ASAP. And it really doesn’t matter where you might be; we have local teams, as well as those who do long-distance moves. Local moving. If you need to relocate certain items from one house in Vista to another, just give us a call and our local movers will do it. Long distance moving. If you’re relocating from some other part of the state, you might struggle to find movers who are willing to go over a long distance in order to relocate your stuff. Most of them will decline, while others will ask more money. But, not us. We’re gonna do a long-distance move at a very affordable rate! There are so many reasons why Vista is a heaven for those who want to relocate to this part of California. First of all, this city has seen a big increase in its economy in the last couple of years. So, if you’re looking for work, you’re guaranteed to find it here. And if you’re planning to start a family, Vista seems like a perfect place. This city has a Mediterranean climate, it’s close to the ocean, its air quality is amazing, and there are many open-air parks in the area. Furthermore, there are plenty of educational institutions across the city, including a total of eighteen elementary schools. When it comes to fun, there are many places in the city that are worth visiting. Brengle Terrace Park and Cinepolis Theater are some that first come to mind. And if you get bored with your daily life in Vista, you can always head to San Diego, which is just about 30 miles to the south. You can also easily come to Anaheim as well, if you want to pay a visit to Disneyland, for example. To get there, just take US Interstate 5 and you’ll get to your destination in an hour or so.